I love doors and I love things lit up at night! I drove past these doors last night. They were so appealing, elegant and simple. 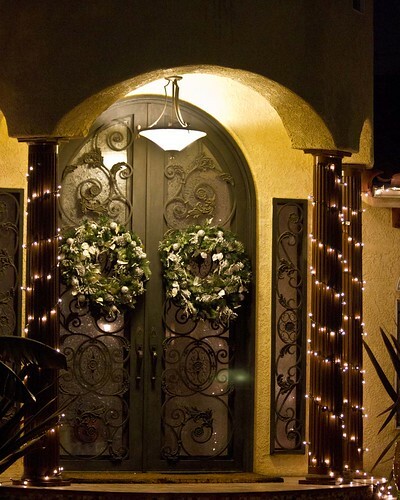 I like how adding the Christmas lights to the columns gives such a romantic glow to the whole entry way at night. It's one of my favorite parts of the Christmas season to see the glow of Christmas lights in so many neighborhoods. A wine bar in Downey!